Metal Proximity Sensor, which is also called non-contact proximity switch, it is composed of generator and shaping amplifier oscillator vibration in the switch after induction head, and produces an alternating magnetic field when the metal body detected. 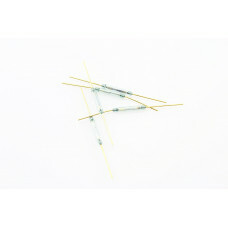 This Inductive Proximity Sensor has high sensitivity, fast frequency response, high repeat positioning accuracy and also stability and reliable, it can detects metal components in 0~4mm distance, and is widely used in modern industry, such as machinery, metallurgy, transportation, electric power, military industry and so on. 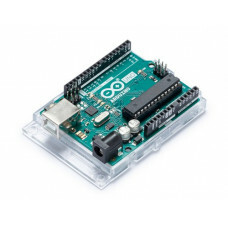 The advantage of using an Arduino board is that it uses an open-source platform. The schematics of.. 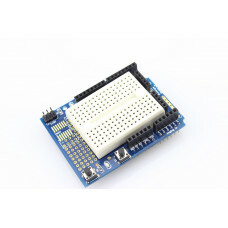 This item is a infrared relay module with remote control. 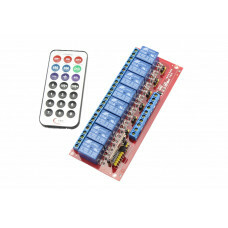 With 8 channel and LED status indicator, i.. 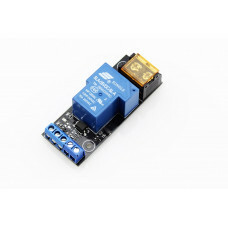 This EMAX servo is an entry level servo for beginners who like to enjoy servo controlling fun. This ..